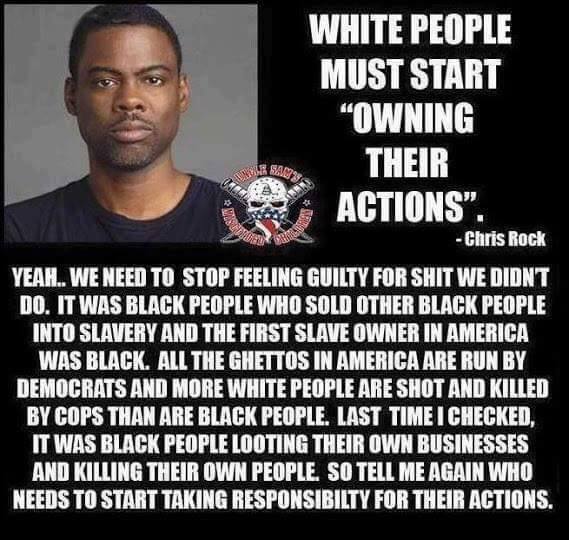 Democrats have openly become the party of criminals, foreign invaders, and communist America haters. They endorse stealing from taxpayers, assaulting Republicans claiming they are fighting Nazis, and killing babies in the womb. 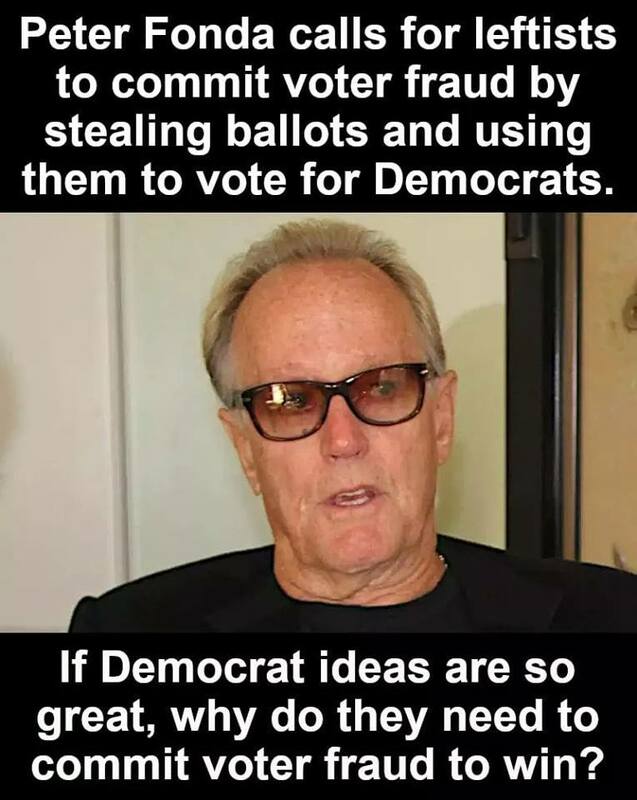 If you claim to be a Christian, an American, or are a taxpayer, why are you supporting satanism and voting for leftist dictator wannabes to steal from you? Chickens voting for Col. Sanders haven’t got the sense God gave a goose, and taxpayers voting for Democrats haven’t the moral intelligence God gave a monkey. Everything Democrats offer for free to their non-working constituents and to illegal aliens has to be paid for by taxpaying Americans. There’s no such thing as free education and healthcare for all. Teachers, schools, doctors, and medical supplies all cost money and it is up to the working man to shoulder the burden through taxes. The idea that the ultra-rich can pay for everyone else is conceived by those who imagine they have money trees. Democrats take extra taxes from all working Americans to give benefits to welfare hogs and illegal aliens who take their jobs for lower pay without paying taxes. 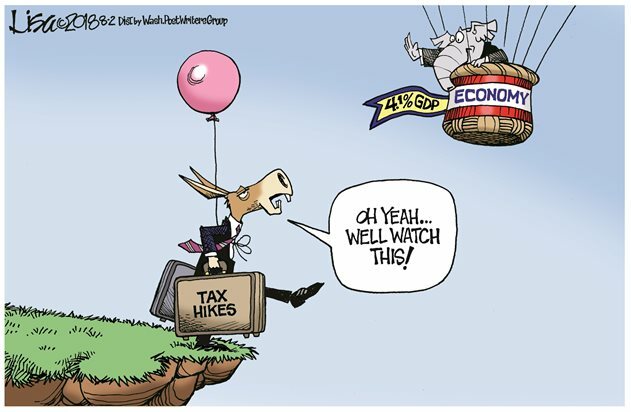 Nothing is free in life and if Democrats had their way they would tax the working taxpayer for the air they breathe. 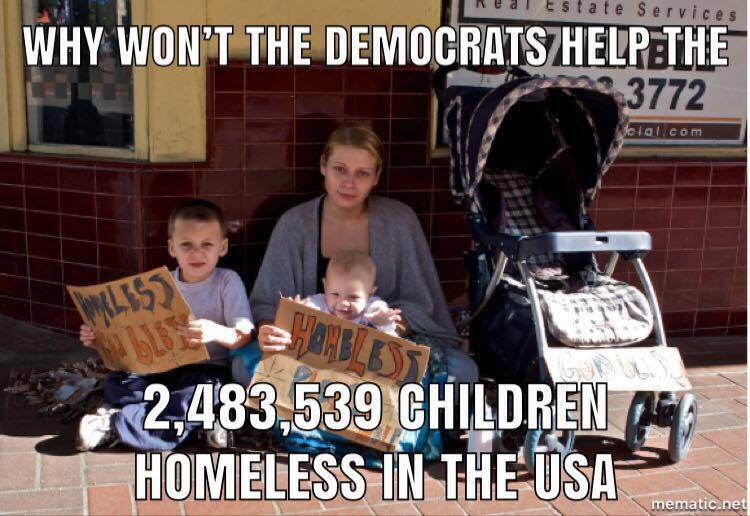 Taking taxpayer money to provide for deadbeats is at the heart of socialism leaving the working people with less than those who vote for Democrats to steal from them. The fundamental characteristic of pathological liars is to accuse the righteous speaking the truth of lying. When they are confronted with their lie they cannot justify, they immediately resort to violence justifying themselves in the lie that they are fighting evil. If they were actually fighting evil, then their words would be enough. Punching someone does not prove their victims are evil liars. But throwing a punch does prove that the liars have no more moral good sense than a monkey. Resorting to senseless animal violence is the only means by which deceivers can protect their lies. Deception is inherent in Democrat policy. The mainstream media lies day after day to obscure events and conceal the facts. Social media engages in shadow banning conservatism and factual accounts of events in order to keep liberals ignorant. Those protesting America are lauded as freedom fighters as they terrorize the righteous, paint Republicans as evil, and spread unrest throughout the nation. 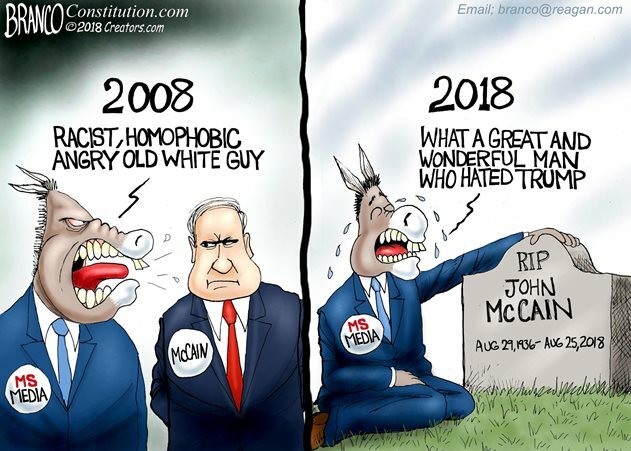 McCain showed the true nature of leftism by exposing his beliefs. Saying he wished he had Joe Lieberman as his VP running mate rather than Sarah Palin shows where his true loyalties laid. He betrayed Arizona voters by voting against repealing ObamaCare. McCain’s career in the Senate was to help Democrats and stand against Republicans. This is what made him the favorite Republican of Democrats and the media, but that didn’t give him any credibility with them when he got the Republican nomination to run for president. They were just as quick to stab him in the back. This is how an evil leftist infiltrates the right to disrupt, obstruct, mislead, and sabotage the righteous, and how they are repaid. Likewise, California’s Democrat governor has betrayed the nation by signing legislation to give felons the vote even from prison and give illegal aliens the vote over American citizens. New York’s Democrat governor has televised that America has never been great, and that he is suing ICE as a bunch of “thugs.” Democrats are declaring America federal law enforcement agencies to be terrorists and are aiding and abetting foreign criminals to steal from American citizens. Democrat governors and mayors are making their states and cities “sanctuaries” for invading foreigners for whom they steal from taxpayers. They say they are doing this out of compassion, but what about compassion for suffering American citizens? Why are these supreme a**holes not in prison for treason? If you or I snuck a foreigner over the border and gave them sanctuary in our homes, they would send the police to bust down our doors and put us in prison! They keep saying America’s immigration laws are broken, but America allows more immigrants to come into the USA every year than all other nations combined. The law isn’t broken. It is Democrats who break the law! These people are supposed to be leaders, but what they are doing is leading the people to hold the law and law enforcement in such contempt that they are willing to kill them rather than obey the law. They encourage each other and others to break the law like their Parkland Poster Boy, Hogg, who called on Canadians to become illegal voters in America. Washington bureaucrats have always turned a blind eye to Democrat crimes from voter fraud to welfare fraud to crushing businesses, stealing taxes, and ignoring Hillary’s security violations, and Obama’s spying on the Trump campaign! Instead they distract their lemmings telling them President Trump lies with every breath and the vacuous fools believe them without ever checking the facts for themselves. Liberals in 21st century America are not American patriots. They are communist dupes. Democrats lack credibility because they are two-faced. They have one set of standards for themselves and a different set of standards for others. Righteous people use the same set of standards for everyone. In leftism the righteous are guilty even if proven innocent and the wicked are innocent even if proven guilty. When you apply a law to the opposing group and give yourself a pass on it you are not serving justice but are a tyranny. 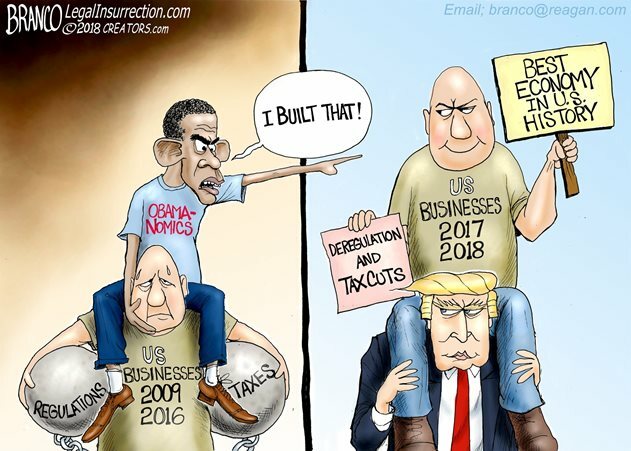 Obama is taking credit for Trump’s economic boom. Apparently, he believes that his deliberate cratering of the economy set-up Trump’s unprecedented success. The guy who said a stagnant economy was “the new normal,” who shut down coal mining so that New Yorkers had to buy Chinese coal to heat their homes, and who put more people on welfare than at any time in history, thinks he should be credited for the Trump economy. Democrats have never created a boom economy, only recessions and depressions. It’s their confiscation of wealth through excessive taxation that does that. WTF is wrong with their brains that they can’t figure this out? This entry was posted in Politics and tagged Ballot Box Stuffing, Barack Obama, David Hogg, Democrat criminals, Democrats lawless, Donald Trump, Economy, Illegal Voters, Obama's economy, Obammunism, Trump's Economic Boom, Voter fraud. Bookmark the permalink.